The Income Tax E-Filing website is used by all types of taxpayers in India to file their income tax returns. 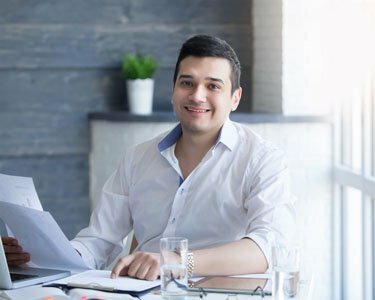 Salaried individuals can easily file ITR-1 return, ITR-2 return and ITR-4 return through the income tax e-filing website itself. 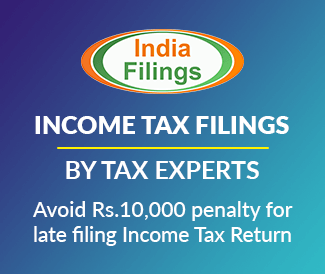 In addition to filing income tax return, a taxpayer can also use the income tax e-filing website to view e-filed returns, check ITR status, respond to income tax notice and know tax refund status. Hence, any person having a taxable income of more than Rs.2.5 lakhs must be aware of the procedures for using the income tax e-filing website and have an account. 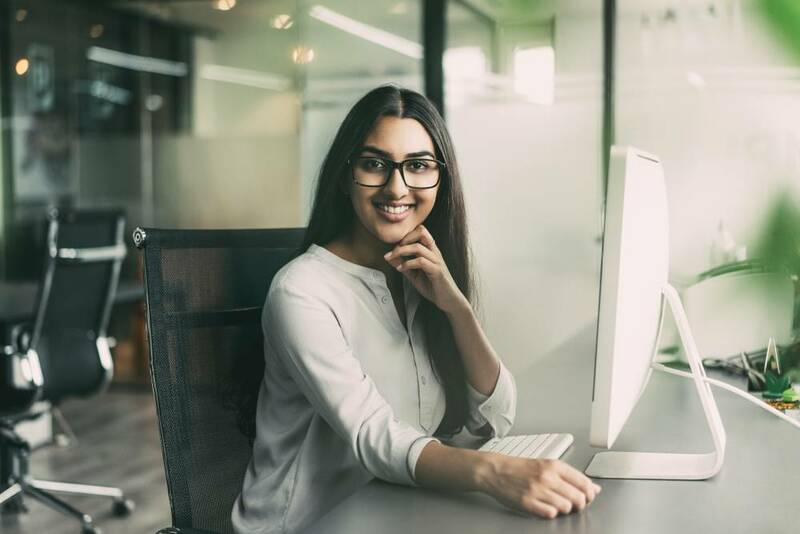 In this article, we look at the procedure for completing income tax e-filing registration and obtaining userid and password for tax return filing. Go to the income tax e-filing website belonging to the Income Tax Department to start the registration process. Click on the “Register Yourself” button on the top right hand side to begin the process. 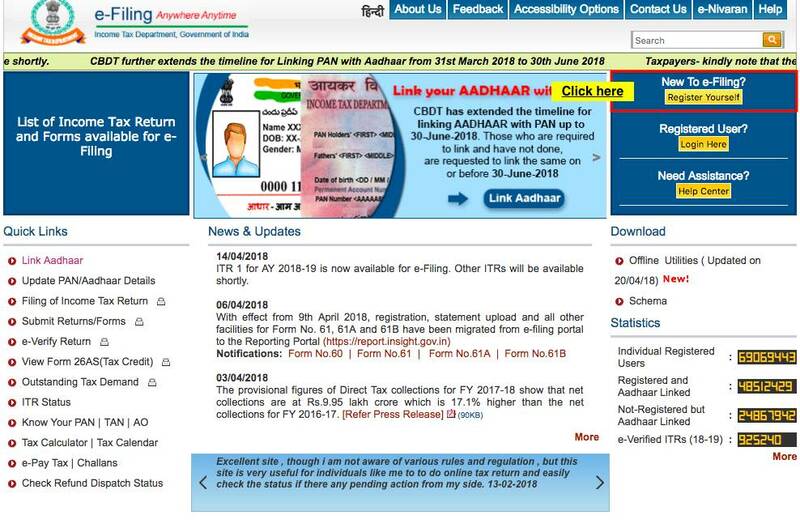 Income Tax E-Filing RegistrationSelect the User Type (such as Individual, Firm etc) and Click on “Continue” button. On submission of the above details, the taxpayer will get a message, “Registration successful”. Also, an email will be sent to the taxpayer along with an activation link and a SMS with OTP. To activate the income tax e-filing account, click on the activation link sent through email and enter the OTP received by SMS. On successfully completing the above steps, the income tax e-filing website will be activate and will be ready for income tax e-filing.